Many of us love hiking, some enjoy going solo however many others feel safer with others around especially if you are new at it or unfamiliar with what to expect in certain areas. You get to meet others who also enjoy hiking which can lead to lasting friendships. At Meetup.com people get together to do different things. They set up a date and a place. It’s a great tool to connect people to people doing and sharing. 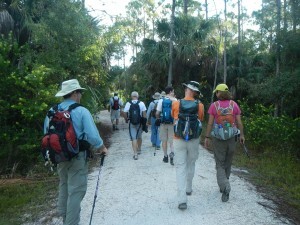 Currently there are 2 groups who meet frequently for hikes in our local area.